Sigh..Francesca, I’m almost scared to mention this, but the next step is of course searching out flour wholesalers. 🙂 I buy my bakers flour in 25 and 12.5kg bags, and the place I buy from also sells spelt in 10kg bags and rye (dark rye, light rye) in 5kg ones. One expensive but high quality option is to mail order from Santos Trading – http://www.santostrading.com.au – I’ve bought great quality flour from them in the past, particularly their spelt. I find spelt a tricky beast – when it’s good, it’s spectacular, but it varies so much! Sometimes it’s as heavy as lead to work with, other times it nearly explodes from the stone. Thanks Celia for the advice. I usually buy in bulk, being 50 kms or so from Melbourne. So big bags are good bags for me. I am hoping for a retail outlet on the rye- the mail order option adds heaps to the postage but I’ll check it out. I always add around 20% or so of spelt to Pizza dough ( normal yeasted beast) with success but have never increased it. we ill see. Yes its fun, there are little bowls of stuff everywhere! Flax seeds to soak, flours to source. Many Thanks Cleia. I’m a novice bread baker and have only attempted 100 % spelt loaf, and as such buy organic spelt flour in small quantities from Woolworths. 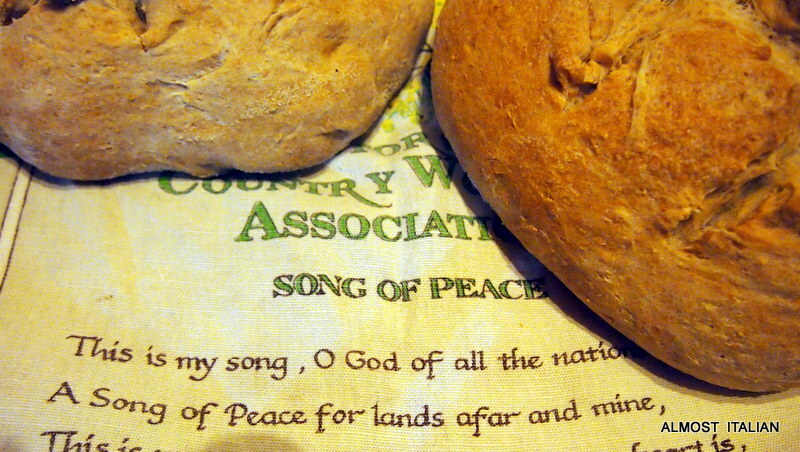 I make it using yeast and don’t do much at all – http://elladeewords.wordpress.com/2014/04/11/under-the-influence/. It started out as a ‘found’ bread maker machine experiment, the machine failed on the second attempt so I threw the dough into a loaf tin and put it in the oven. 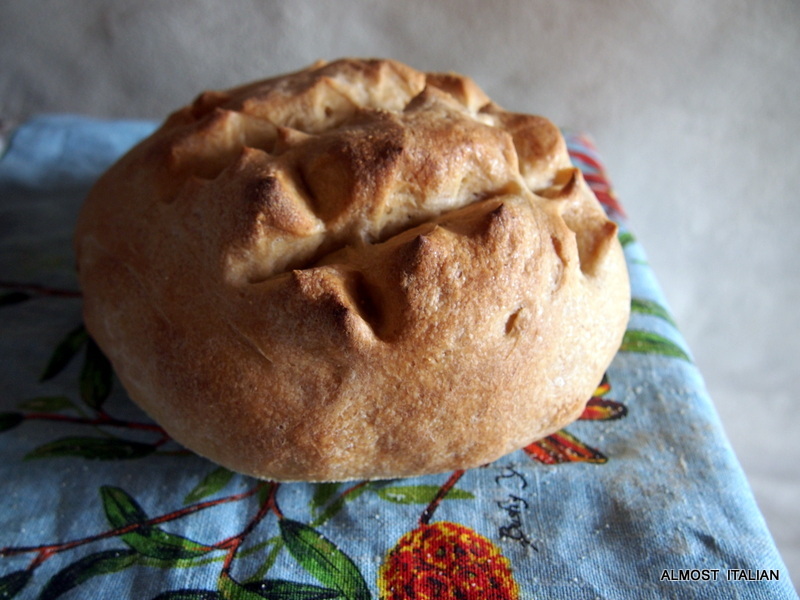 That was working well until my loaf tin developed a hot spot yesterday, so this morning I succumbed to Celia’s influence and ordered a Romertopf – Pane Loaf Baker from PoK. I am also a novice. I bought some Australian wholemeal spelt flour at Bas foods – $4.49 to top up my supplies. I have read about celia’s Rometopf baking but as a beginner, I am yet to invest. Do you buy Rye flour? Yes Celia is a very good girl. 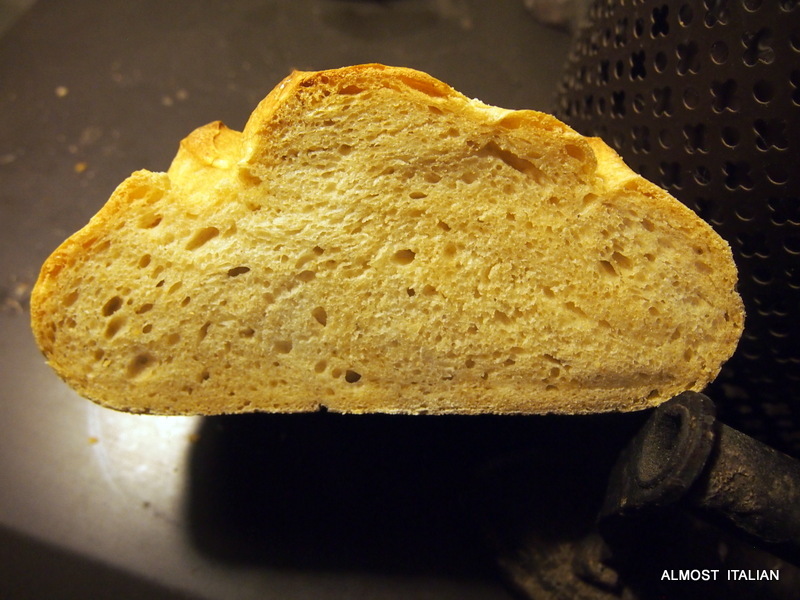 I love your sourdough diaries – experimenting with bread is a wonderful thing. I’m really sorry I can’t help you with flour sourcing, but I get mine from mills in the UK (some sold through my supermarket and some direct from several mills). The spelt I use is wholegrain and very similar to a coarse brown wholewheat and I have never seen a “white” spelt. I read somewhere (Daniel Leader comes to mind in his book, Bread Alone) that traditional rustic sourdough Pane Compagne of France is 1/3 wholewheat and 2/3 white. I find this to be a very good proportion and combination for flavour. I also have a rye sourdough starter (Sven) which I use for seeded wholewheat breads and for good old-fashioned rye and pumpernickel breads. I have never seen rye flour with additives you mentioned. How very odd! It was an American product! Thaks for the proportions – 1/3 to 2/3 sounds about right. Since posting I have found some good Ryeflour sources. Spelt is milled here and is wholemeal on the whole. It is a learning curve of fun and so suited to these winter months. I’ve read bout your Sven! It was delicious and didn’t last long. Your bread looks lovely Francesca, and so wholesome! Its good so far, but just a beginner with sourdough. Today I am doing one with flax seeds and oats. We will see! I hardly ever bake bread but looking at yours certainly makes me hungry for a freshly baked loaf! I’m seriously into it!! And yes, eating the bread is a problem. Previous Previous post: Turkish Red Lentil ‘Bride’ Soup. Next Next post: Antipasto of Egg Salad with Parsley Pesto.